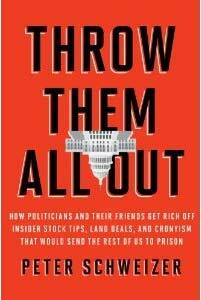 Peter Schweizer’s new book is Throw Them All Out. Governor Palin referred to his work in her recent Wall Street Journal column, featured here. Two brief interviews tell part of the story of this endemic corruption in Washington (and in state capitals throughout America). The facts exposed in this book explain much of the tycoon transnationalist capture of the GOP, as well as DNC debauchery. The bigger and more multinational that corporations are, the more ungoverned they are – and the closer they tend to be in their aims and their complicity, to globalist, central bank financiers and all the authoritarian tyranny in the cauldron they fuel. Will Barack Obama get a Christmas Card from his buddies in this gang?